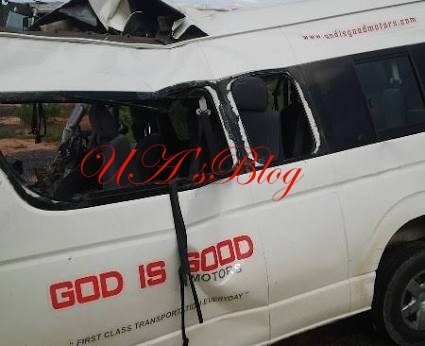 No fewer than 10 persons were seriously injured as severally others narrowly escaped death in an auto crash involving a bus belonging to God is Good Transport Company. It was gathered that the incident happened after the driver allegedly slept off on the steering along Benin-Lagos Road, yesterday. One of the passengers, who identified herself as Chenemi, told our correspondent, who ran into the accident that the bus veered off the road after the driver reportedly dozed off and landed in a bush.